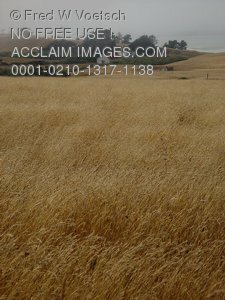 Description: Beautiful view of rolling hills in Eureka, California leading to a farm house and beyond it, the ocean covered in fog. Lower resolution version. Landscape view of the same scene.